UPDATE: For the future of science and medical advancement, our goal is to have this book in all public and primary school libraries in New Zealand and change the course of history and you can be part of the impact! We want to spread this message far and wide, and where better to start than with our children. Children are our future, and if we can change their perceptions and break the current conventional cycle, the next generation will help us see animal experimentation become a dark story in a history book. 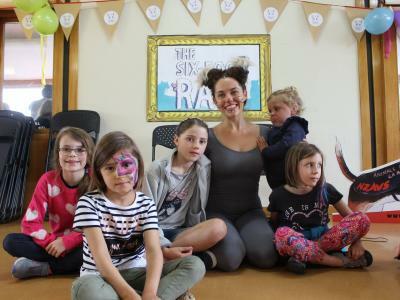 Miss Vale with 8-Year old Izzi after her class would read The Six-Foot Rats. A Christchurch primary school read the Six-Foot Rats in class and the response was powerful and could mark a change in history for animals in science. After the teacher Miss Vale read the book out to class, they had a discussion about animal experimentation. The children were all very engaged and spoke out about their anger that animals were hurt like that, for nothing. It was clear that children understand that it makes no sense to test on rats to find cures for humans. 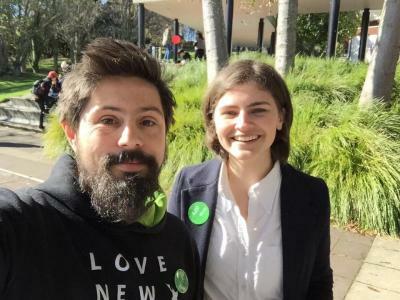 This is an important step towards creating a generation that supports a shift away from animal experimentation. “The Six Foot Rats was an enjoyable and informational book that I read to my class. It teaches the importance of why testing on animals for beauty and medicinal purposes is inhumane and cruel as our species are both completely different. 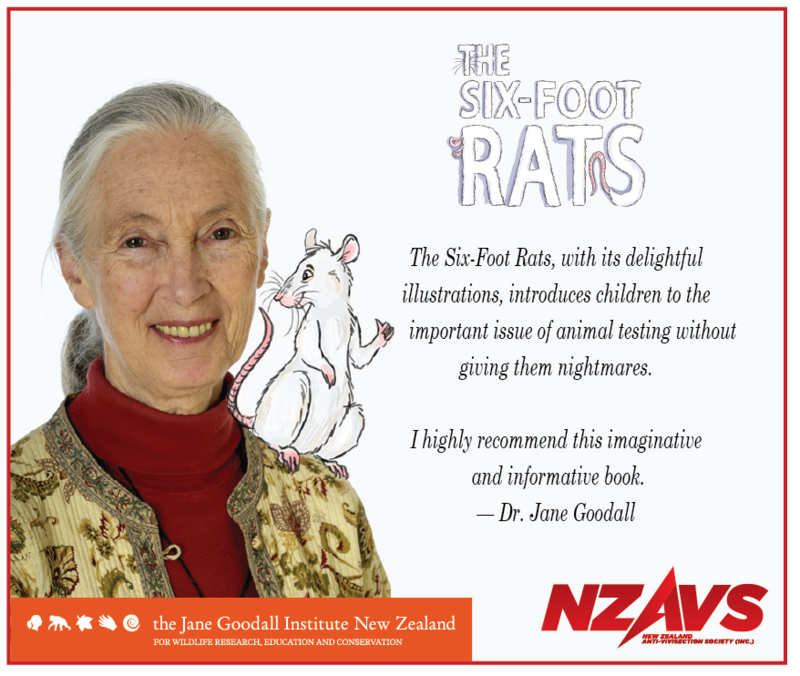 The Six-Foot Rats is a must-read for all children in NZ if we want to see animal experimentation become a thing of the past. Please consider making a donation today so that all kids can learn about the bizarre logic behind animal experimentation and help us create a future where science exists without suffering. Note: The total amount we need to raise is subject to change if we get schools returning our donation (this could happen for a number of reasons). Where can you buy The Six-Foot Rats? Suzy Cato (Suzy & Friends) released the above review on our book. 10-year-old Mila gives a full review and tells us what the book taught her. 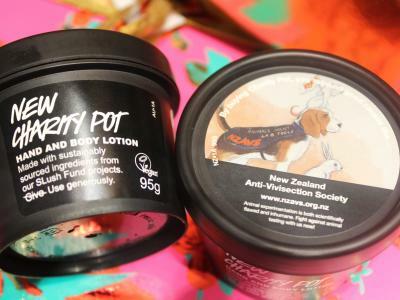 "I did learn that I now don't think I will buy any animal tested products," said Mila. Watch the full review via the link above! 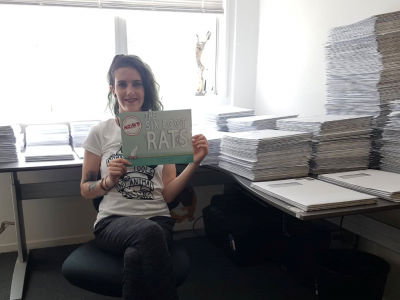 “The Six-Foot Rats, with its delightful illustrations, introduces children to the important issue of animal testing without giving them nightmares. I highly recommend this imaginative and informative book.”- Jane Goodall, PhD, Founder of the Jane Goodall Institute and UN Messenger of Peace. Read more reviews of our book here. Nearly one thousand schools have been sent our book thanks to LUSH! 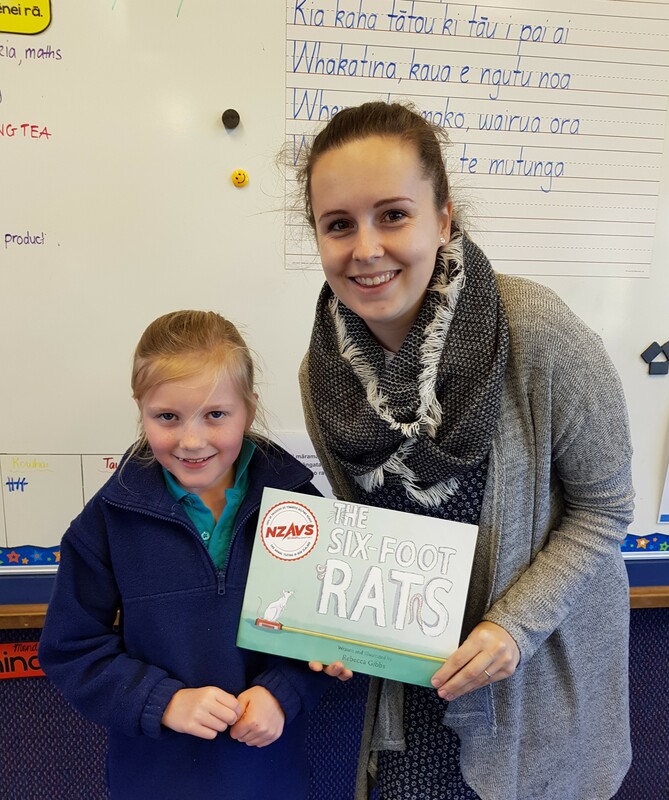 Due to the generosity of LUSH Cosmetics, we have been able to send 968 copies of 'The Six-Foot Rats' to primary schools across NZ. Changing the course of animal history one book at a time! 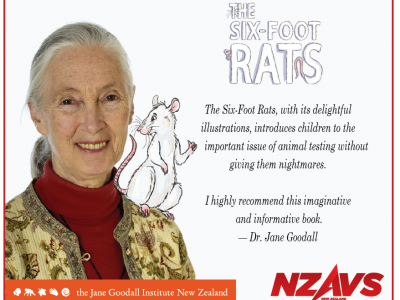 We have just launched a crowdfunding campaign to get our children's book, 'The Six-Foot Rats' sent to every Primary School and Public Library across NZ! We hosted our official book launch party over the weekend! The Six-Foot Rats Gifted to Primary Schools Thanks to LUSH Charity Pot! 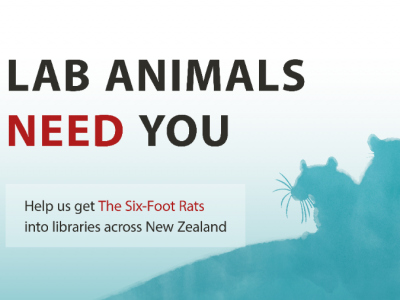 Thanks to the generosity of LUSH Cosmetics, NZAVS can gift our children's book, the Six-Foot Rats, to over half of the primary school libraries in Aotearoa! Guest Speakers Attending The Six-Foot Rats Book Launch Announced! We have two special guests attending our upcoming book launch to do the first ever live reading of our new book. 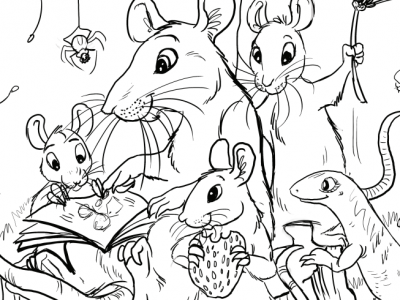 The Six-Foot Rats Colouring in Competition!